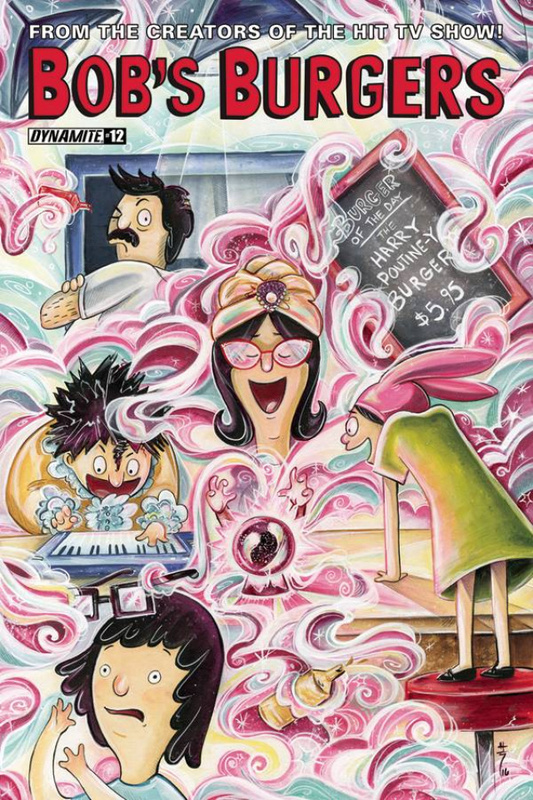 Get ready to delve into the twelfth issue of the Bob's Burgers comic book series! Louise tries to crack the case of a cosmetic conundrum; Gene travels to a land of fearsome fried things; and Tina takes to the skies in Top Tina. Everyone loves Bob's Burgers, the fan-favorite animated sitcom that airs on Fox television with other hits such as The Simpsons and Family Guy!